Neurontin® is widely used to treat neuropathic pain. It is FDA approved for post-herpetic neuralgia. There have been two distinct double-blinded placebo-controlled studies that have demonstrated its effectiveness in post-herpetic neuralgia however the studies were not designed to determine the minimum or usual effective dose of the medication. In Dr. Loftus’ experience, many patients respond fully to 900-1200 mg/day. One study suggested that doses at least up to 1800 mg/day should be attempted before determining the medication was not going to be effective. 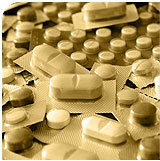 Doses would be predicted to be smaller in certain populations such as those that have abnormal kidneys and the elderly. About 50% of patients will have significant relief with this medication. Neurontin® is also widely used to treat other neuropathic pains despite not having FDA approval (called off label use). Because it is generically available and has very low toxicity, it is commonly used first for pains that are associated with peripheral nerve injury including radiculopathy (nerve pain from an irritated nerve root), diabetic painful neuropathy, and trigeminal neuralgia. Like other seizure medications, Neurotin® can cause sedation and balance difficulty. Its most frequent long term side effect is weight gain. Less common, the drug causes fluid retention.